**OPEN HOUSE SAT 1/12 from 10am-1pm** The light, bright, open floor plan makes for comfortable living in this beautiful David Weekly home in Julington Creek Plantation! New roof, new A/C. Gourmet kitchen features granite countertops, stone backsplash, stainless appliances with range plumbed for gas, huge island and breakfast nook. Kitchen opens to family room with built in shelves and gas fireplace. Expansive Owners Suite features bay window, tray ceilings and hardwood floors. Quality cabinetry in double-vanity, granite counters, separate shower and garden tub in Master Bath. Three additional bedrooms and two baths located on other side of split floorplan. Formal dining room and living room. Back yard is fully fenced. 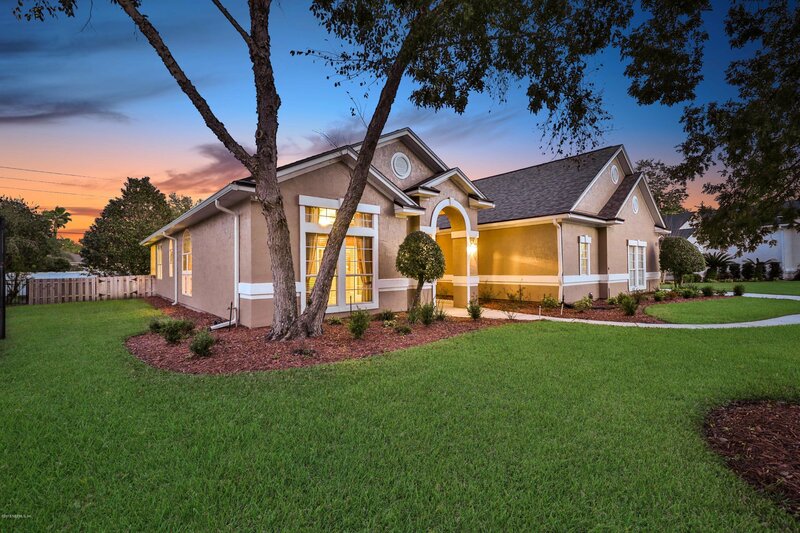 Julington Creek Plantation is located top-rated St. Johns County school district and full amenities, including tennis, lap pool, splash park, fitness, child watch, skate park and access to golf. Come and see this great home today! Listing courtesy of RE/MAX UNLIMITED. Selling Office: APEX REALTY LLC.